Zynga reports that in the game’s first 24 hours, over 290,000 people played CityVille. That’s more than double the 116,000 that Zynga’s last title, FrontierVille, saw in its first 24 hours. And FrontierVille is no slouch — it’s now at 6.5 million players a day, with 29,872,423 monthly active users. 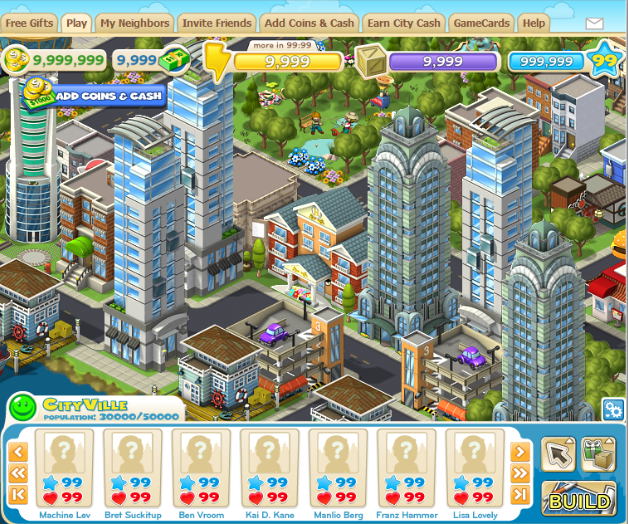 Zynga says CityVille is its biggest launch to date. Some of this quick growth likely stems from the fact that this is Zynga’s first global launch — the game went live simultaneously in English German, Italian, Spanish and French. We did a full run-down on CityVille around three weeks ago (it was slated to launch in mid-November) but Zynga decided to delay the game so that it could make a few last adjustments before launch. Doesn’t look like the delay hurt much. One other important thing to note: Zynga says that these 290,000 initial installs were primarily ‘organic’ — they mostly came from players sharing status updates and inviting their friends. Zynga says that it hasn’t yet activated the cross-game marketing that will eventually roll out to its other popular games like FarmVille and FrontierVille. When it does, expect to see CityVille’s user count jump (again).